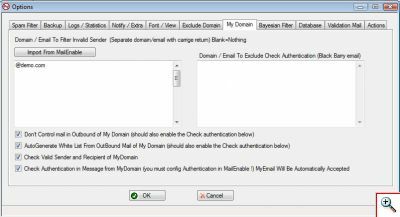 Check Valid Sender and Recipient of MyDomain ! This filter block too many spam ! 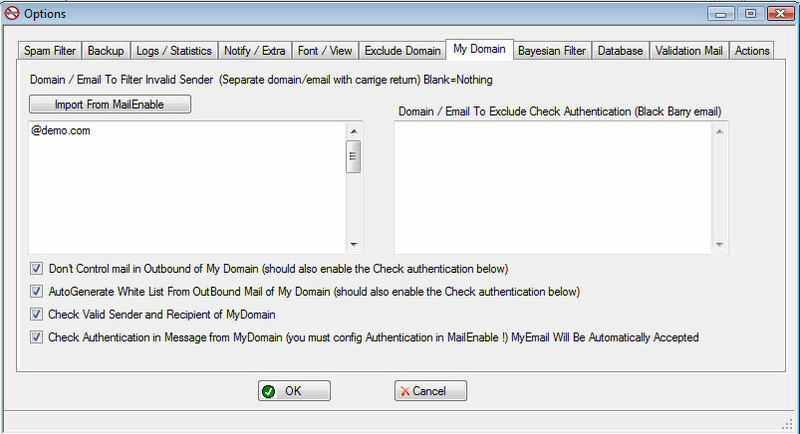 click "Import from mailenable" and select "check Valid Sender and Recipient of MyDomain"
Click over to enlarge image.